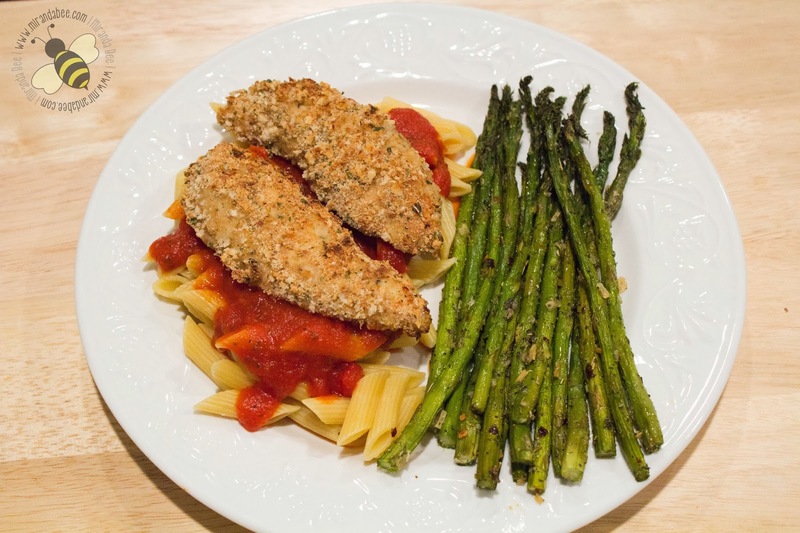 This chicken parmesan always turns out moist and flavorful. 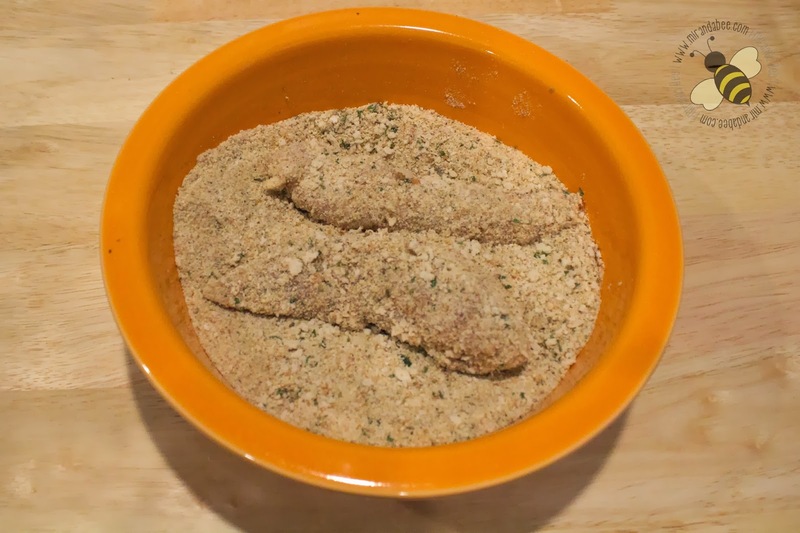 That’s because instead of using egg or milk to coat the chicken before breading, you use an Italian Dressing marinade. It really makes all the difference! What you’ll need (from left to right): Pasta sauce, Italian dressing (my two favorites are the Lawry’s Garlic & Herb or Wishbone Italian Dressing), olive oil, garlic powder, chicken, Parmesan cheese, bread crumbs, Italian seasoning, pasta, black pepper, and salt. First you need to take your boneless skinless chicken breast and put them in a Ziplock bag. You could also use a dish, if you want. Just whatever you want to use to marinate it in the fridge overnight. To the bag, add Parmesan cheese and Italian dressing. 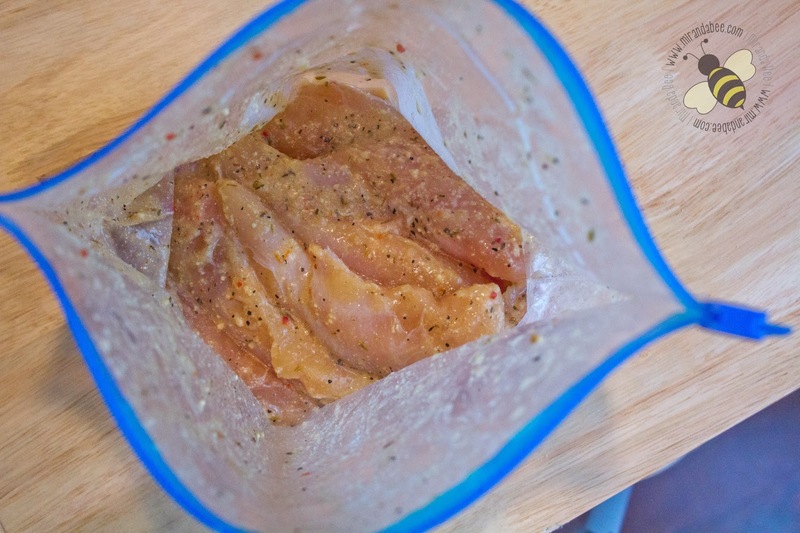 Seal the bag and mix it all around until the marinade coats each piece of chicken. Let it marinate in the fridge for at least 30 minutes and up to overnight. Obviously, the longer it marinates, the stronger the flavor will be. 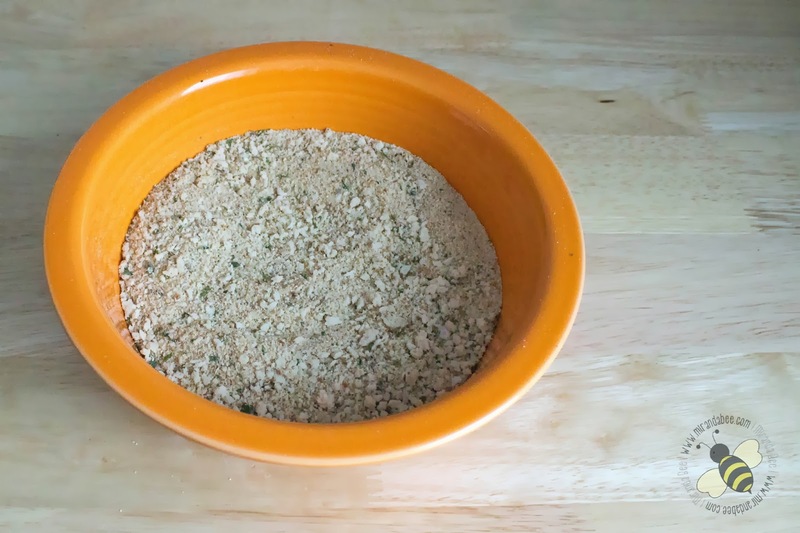 When you are ready to bread the chicken, add the bread crumbs and seasonings (garlic powder, Italian seasoning, salt, and pepper) to a large bowl. Mix it all together really well. Place each piece of chicken in the bowl and coat evenly. Once they are all coated, place the chicken on a cookie sheet and bake for 30 minutes. While the chicken is baking, cook your pasta and sauce. When everything is done, serve chicken on a bed of pasta. I also served ours with a side of Oven Roasted Asparagus. A simple, flavorful, Italian-inspired dish perfect for a weeknight meal. 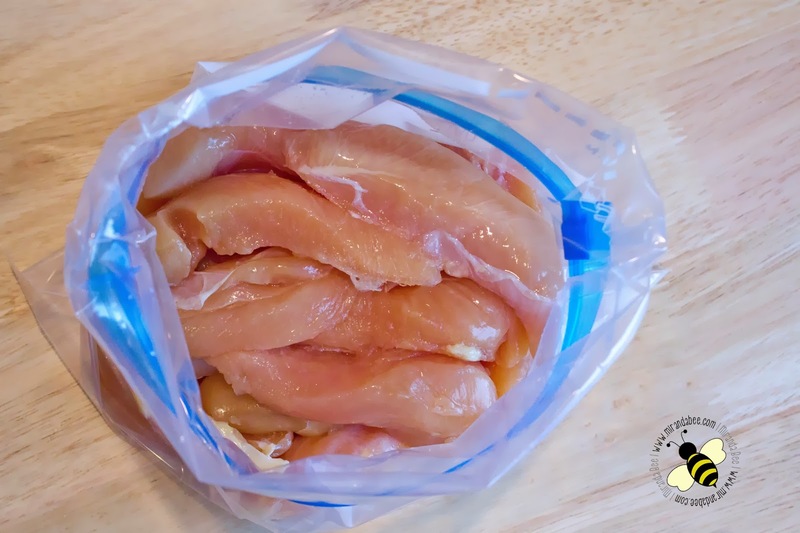 Place chicken in a Ziplock Bag. 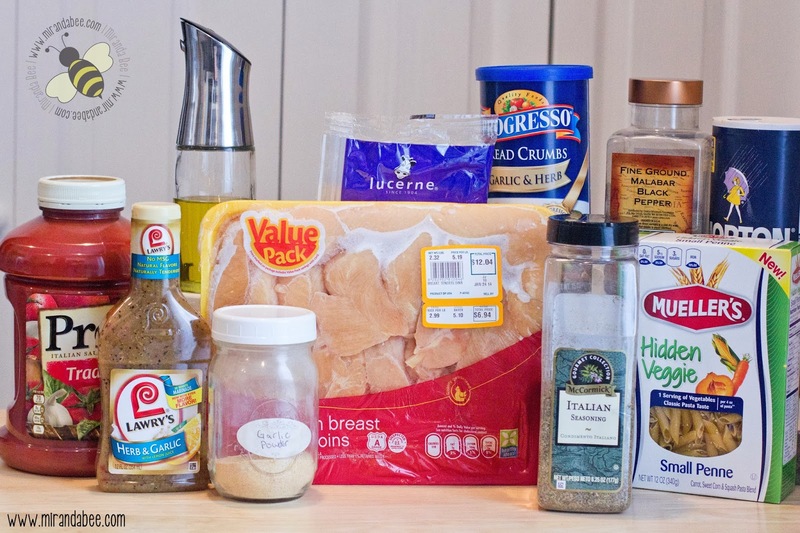 Mix Parmesan Cheese and Italian Dressing and add it to chicken. Marinate in fridge for at least 30 minutes (or up to overnight). 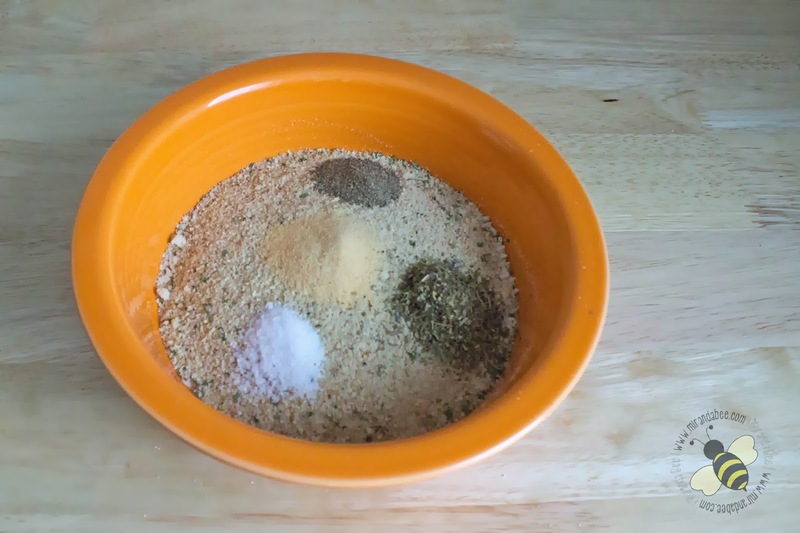 Mix seasonings and bread crumbs in a shallow dish. 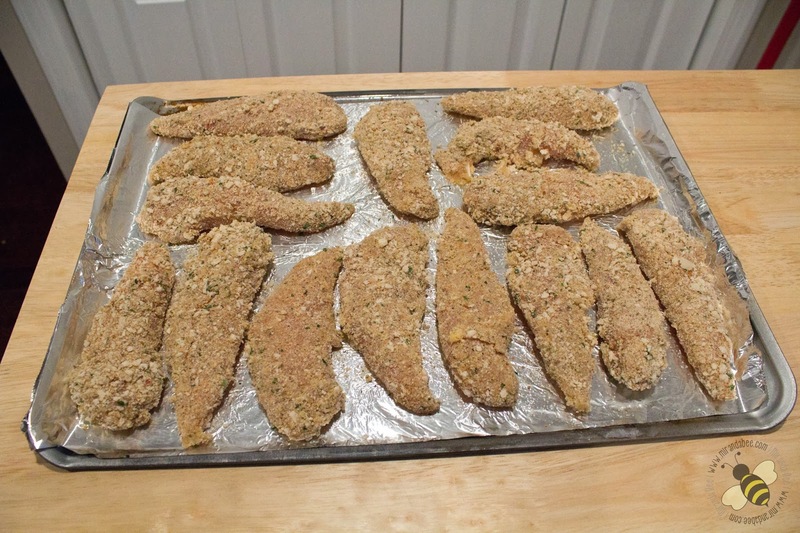 Coat chicken with bread crumbs and place on lightly oiled cookie sheet. While the chicken is baking, cook pasta as the package directs and warm the marinara sauce of your choice. When the chicken, pasta, and sauce are done; top with Parmesan Cheese, serve and enjoy. I love this idea!! Im putting it on my list. That sounds great! I love the Garlic and Herb Marinade. I'm going to pin it. Looks fantastic! 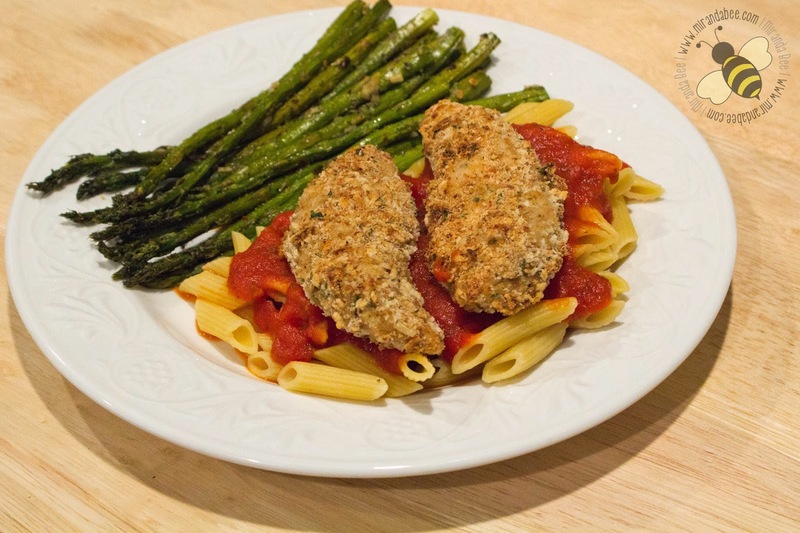 It looks like there's more "stuff" (in a good way) to it than the Chicken Parmesan I make!